The Indonesian name for whitegrubs is "kuuk" and they are in the insect family Scarabaeidae. 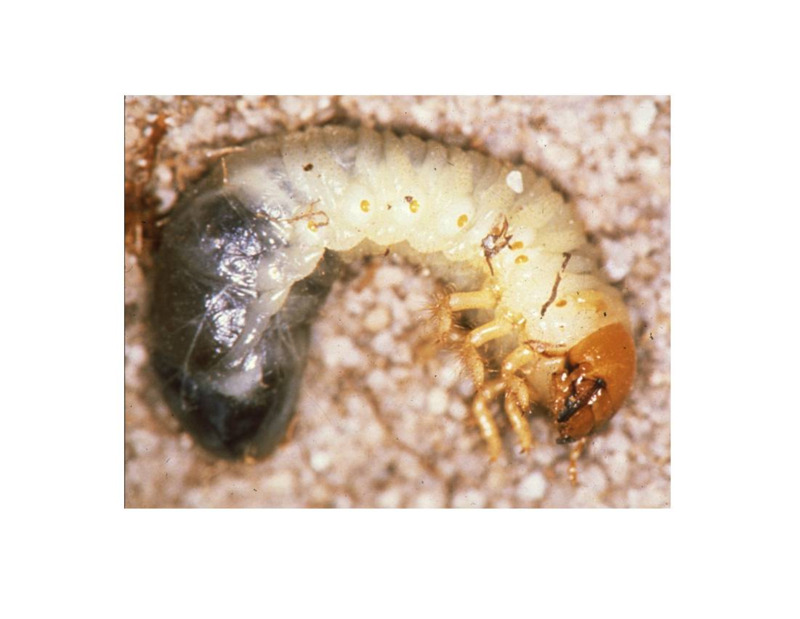 Whitegrubs are the larval stage of various species of beetles. They vary in size and colour but all have similar features. Larvae are crescent-shaped with a brown head and prominent chewing mouthparts or jaws, three pairs of legs on the thorax and a transparent skin showing the stomach contents. Larvae live in the upper soil layer feeding on the roots of many different plants. Adults are hard-shelled beetles with thick wing covers over their backs to protect the wings that lie underneath. Despite their clumsy appearance, adults are strong fliers. African black beetle is one species of whitegrub that occurs in parts of Indonesia’s potato growing regions as well as coastal south-west Western Australia. Adults are black, shiny oval-shaped beetles about 10mm long. They spend most of their time in soil but will have mass flights during humid, warm to hot afternoons and nights, especially just before thunderstorms. 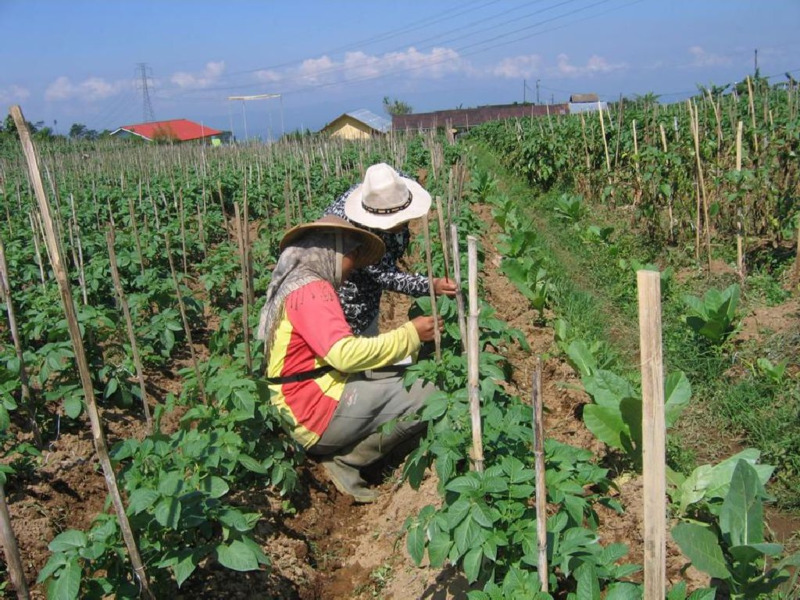 If present at plant emergence, adult African black beetles can kill stems of potato plants and cabbage seedlings by chewing them at ground level.